1. Just be YOU. When I write about branding, authenticity is one of the things I stress the most. Steve Harvey has this one locked down. One of the most essential ingredients to building a powerful brand is being true to who you really are. Whatever platform you interact with Harvey on, you always get the sense that he’s just being who he knows to be—country accent and all. And it’s served him well. It’s one of the things that have helped him create a unique space for himself in an incredibly competitive industry. 2. Dress how you want to be addressed. He absolutely lives by this rule. In fact, he speaks often about how his wife, Marjorie, told him that if he wanted to be taken seriously as a businessman and not just a comedian, he had to change his style. He’s a smart man; he listened to his woman and went from suits that were overly flashy and baggy to now sharp and well-tailored, while still maintaining his personality. His suits have become part of his signature and have served to create an image of a man who is all about the business of building his empire. 3. Find a way to apply your gifts and natural talents in every aspect of your business. 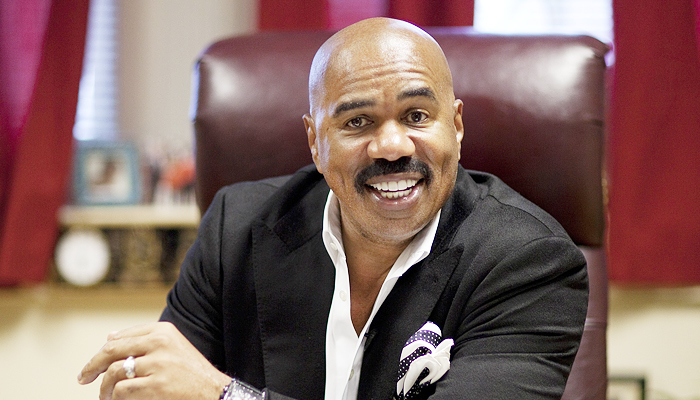 Many people first came to know Steve Harvey as one of the original Kings of Comedy. In one of the most successful comedy tours ever, he joined D.L. Hughley, Bernie Mac and Cedric the Entertainer in making audiences across the world laugh to the point of almost needing stitches. At some point in his comedic career, Harvey made a conscious decision to diversify his reach, his platform and his message. Despite not actively performing on the comedy circuit anymore, however, he still brings his own unique brand of comedy to every platform he is featured. Whether it’s the Steve Harvey Morning Show, The Steve Harvey Show, Little Big Shots, or Family Feud, you are guaranteed he’s still going to use his gift of comedy to make you remember and enjoy the experience. 4. Speaking of diversifying… I’ve come to understand that the most successful business people diversify their portfolios. From successful talk shows and international literary bestsellers, to sold-out entrepreneurial conferences and beauty products, Steve shows no signs of stopping his successful climb. It seems as if every time you turn around, he’s signing off on another business deal. In a world in which business moves at the speed of light and trends come and go, diversifying your brand portfolio is an incredibly smart move. It helps mitigate your risk. 5. Give back. Despite his insanely busy schedule, Harvey has made sure to incorporate giving into his business. Between the Neighborhood Awards (formerly known as the “Hoodie” Awards) which recognize leaders who are making a difference in their communities; the Disney Dreamers Academy, which encourages disadvantaged youth to actively pursue their dreams; and the Steve & Marjorie Harvey Foundation, which provides outreach and mentoring to fatherless youth, this savvy businessman is also a selfless giver. At a time when consumers are expecting more from the brands they support, giving back is not only a smart thing to do, it is the right thing to do. 6. Remain humble. I don’t think anyone will forget Steve Harvey’s major snafu at the 2016 Miss Universe Pageant. Regardless of whose fault it was or whether or not you believe it was a publicity stunt to boost ratings, the way it was handled was a lesson in grace for us all. After Harvey announced Miss Colombia as the winner and then had to retract his statement once he realized Miss Philippines was the real winner, he could have blamed everyone and everything under the sun for the flub. Instead, he took full responsibility and apologized publicly for the mistake. Not only was he humble about it, he actually poked fun at himself in the aftermath of the very public “scandal.” He did it so well that T-Mobile used him in a commercial that alluded to his mistake. Now that’s one way to turn humility into opportunity. 7. Learn how to turn your failures into your greatest stepping stones. If you’ve had a chance to read Steve Harvey’s book Act Like a Success, you’ll know that he had to overcome homelessness, flunking out of college, amassing a fortune and then losing it, two failed marriages, overcoming millions of dollars worth of debt…and the list goes on. Here’s the reality: every single one of us in our climb to success is going to experience setbacks. Most of us haven’t been taught that failure is perhaps the most important ingredient to success. At some point, you will have failed so often that you will then know what doesn’t work. You only need one “yes” to make up for all those “no’s.” Indeed Harvey can now stand tall on those piles of “no’s”, or failures, because he decided to use them as a catalyst for the success he’s experiencing now. 8. Be generous with your knowledge. So many of us have experienced disappointment when we’ve approached individuals we look up to who have achieved some level of success and asked them to tell us how they did it. In response, we’ve received a brush-off and a “figure it out yourself” response. That’s why it’s so refreshing when you see someone like Steve Harvey consistently giving out advice on the “how” of success. 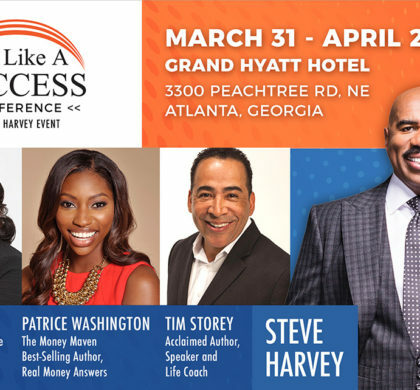 From his annual Act Like a Success Conference, to his books, and impromptu shared life lessons, Steve has made it clear that he believes each of us has the ability to be successful, and he’s doing his part to share what he knows about it. He’s become a mentor to millions of people he’ll never meet, but whose lives he’s impacting just by being generous with his knowledge. Here’s a clip of a powerful message after one of his Family Feud tapings. 9. Pick the right partners. The company you keep has everything to do with how your brand will be perceived by the public. 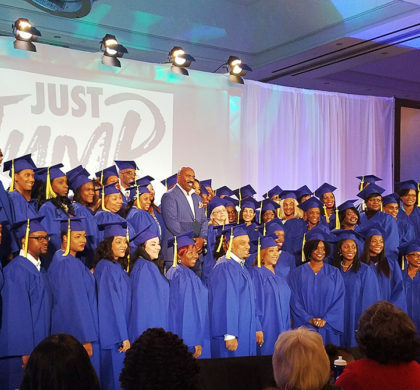 From his partnership with Disney for the Dreamers Academy, to his new partnership with Mark Burnett for the upcoming entrepreneur reality show, Steve Harvey has been very deliberate about the brands he associates with—and so should you. He knows that the company you keep will either add value to your brand, or weaken it. 10. Strike while the iron is hot. When it comes to building a successful brand, opportunities wait on no one. The smartest businesses know how to take full advantage of their current status and take on opportunities that make sense for their brands. There are very few brands that have found the secret sauce to staying relevant over time. The ones that have been able to do so have learned how to move with deliberate haste and reinvent as needed. This is why you’re seeing Steve Harvey on so many different platforms right now—he understands that you have to take advantage of the right opportunities when they present themselves or you might just miss out on a chance to expand your brand and your reach. 11. Learn to be a chameleon. There’s that old saying, “When in Rome, do as the Romans do.” This doesn’t mean that you give up your brand values and the principles that are most important to you. But it does mean that you have to learn to read people and situations very well, and assimilate when necessary without suppressing what makes you unique. Steve Harvey has learned to do this better than most. Whether he’s talking to a room full of hopeful entrepreneurs at a conference, or engaging with a five-year-old on a talent show, he’s learned to adjust his approach in connecting with his audience. This is certainly relevant for brands in an ever-changing environment. 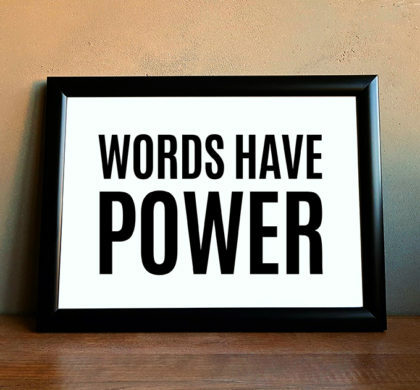 Learn how to read and speak to your audience in a way that applies to them or risk becoming irrelevant. What lessons have you learned from watching Steve Harvey’s rise to success? Absolutely brilliantly amazing writing. I'm going to bookmark this article so that I can read it everyday. Thank you so much!!!! This is SUCH an amazing article ! Steve Harvey is such a resilient man . An inspiration and beacon for many. All of the above mentioned are sure fire paths to success. Especially "Be generous with your knowledge" an action you embody quite well yourself . Thanks for sharing ! I truly enjoyed reading . This was so one time! I was struggling today with #10 this morning. I questioned whether I am ready to go to the next level. I wondered if I should wait until next year. But after ready this, I realize the opportunity may not present itself next year so I need to go!!! Opportunity waits for no one, Tanya! It’s so true that you have to seize the moment and every day: Do It Afraid. Iesha, I'm so glad you enjoyed the article. I hope it helps you build YOUR #MillionDollarBrand. Thanks for reading!